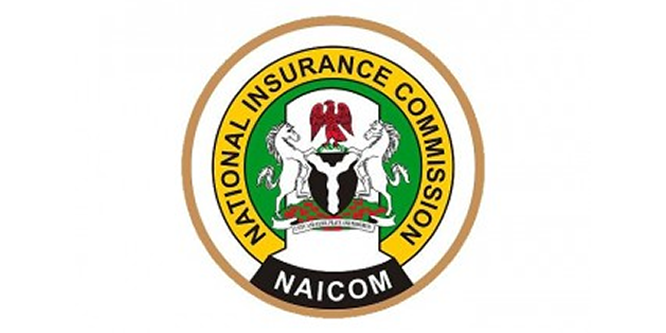 The National Insurance Commission (NAICOM) has assured that insurers will not suffer significant loss following the implementation of the International Financial Reporting Standard (IFRS) 9. The IFRS 9 was promulgated by the International Accounting Standards Board (IASB). It addresses the accounting for financial instruments. It contains three main topics: classification and measurement of financial instruments, impairment of financial assets and hedge accounting. It replaced the earlier IFRS for financial instruments, IAS 39. It came into the system as a part of transparency in financial transaction that provides improved information through introduction of a structured approach to the classification and measurement of financial assets . It reflects the actual business model which a business organisation uses in its management and cash flow characteristics. At recent interactive model on the new finance reporting system, the Deputy Commissioner for Insurance Technical, Mr Sunday Thomas, said with the introduction of IFRS 9, insurers would not suffer any significant loss because the commission had gone through a rigorous study and review on the new model. 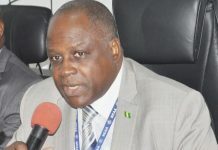 Similarly, the Commission, said it has received the approval of its sister regulators, the Securities and Exchange Commission (SEC) and Nigerian Stock Exchange (NSE), for the extension of underwriter’s financial account submission to the end of April 2019, as against the month of March previously stated. Thomas, stated that guidelines of the IFRS 9, had been sent to the market for better assimilation, views and opinions of underwriters. He said to ensure proper implementation of IFRS 9, the commission, had engaged the Chief Financial Officers (CFO) of each company in an interactive session to ascertain how far they have implemented the standard and share challenges encountered, He added that each company, gave a presentation of implementation from its company. According to Thomas, IFRS 9 came into the system as a part of transparency in financial transaction, adding that it provides improved information because it introduces a structured approach to the classification and measurement of financial assets that reflects the business model in which they are managed and their cash flow characteristics. On migration from IFRS 4 to IFRS 9, he said “We have tried our best as a commission to make it a lot easier for the market, our doors are opened for enquiries. On the impending IFRS 17, Thomas said, “we are learning from the gaps that are in existence, by the time we come to the adoption of IFRS 17 which has given us longer period for adoption, 2022, we would have been able to perfect all the act so there will be a seamless flow.”. Also speaking, Director, Inspectorate, NAICOM, Barineka Thompson, explained the effect of IFRS 9 on insurance companies, saying the impact of IFRS 9 was mostly felt and would also be felt by banks whose portfolios are predominantly debt portfolio or debt instruments. “We are not expecting significant or negative impact on the insurers because if you go through the book of insurance companies, you will see that the investments that is related to debt nature are mostly in company instruments, government bonds etc, so its not like they are given personal loans to individual or corporate bodies which is the job or transaction of banks. “It is not that we are saying that there was no form of impact or loss by the reason of classification and measurement modelling, what we are saying is that they are insignificant,” he added. 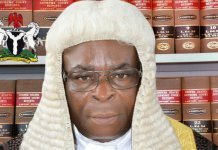 On the financial account submission date extension, he explained that the insurance companies should be given more time because their business and accounting are peculiar. This, he said was why it took the IASB over 15 years to come out with an accounting system or model for insurance. “We have to take time to make sure we understand what it really means and how to implement it.